Zermeño’s Custom Ironworks welcomes you into the world of hand-forged wrought iron. Offering you the highest quality craftsmanship while maintaining the uniqueness and traditions of our craft is the mission we live by. You will be amazed by the broad range of handcrafted products we offer - from custom gates and balconies to railings. We are experts when it comes to retaining the old world charm and elegance while crafting iron products that have modern design and functionality. Zermeño’s Custom Ironworks chooses only the finest materials for all our product offerings. With our unparalleled creativity and workmanship, we are able to follow a hassle-free manufacturing process. Zermeño’s has a team of skilled artisans and master blacksmiths who excel in the craft of age-old iron-working as well as detailing the delicate final touch of faux finishes, with equal ease. We are committed to the excellence in our products, customer service, and customer satisfaction! A California licensed contractor (CA #892356), bonded and insured! Alvaro Zermeño, owner of Zermeño’s Custom Ironworks, has set the highest standards for distinctive design, quality workmanship and exceptional customer service within the iron works industry for over 25 years. Our custom designed iron products cater to builders and homeowners alike. 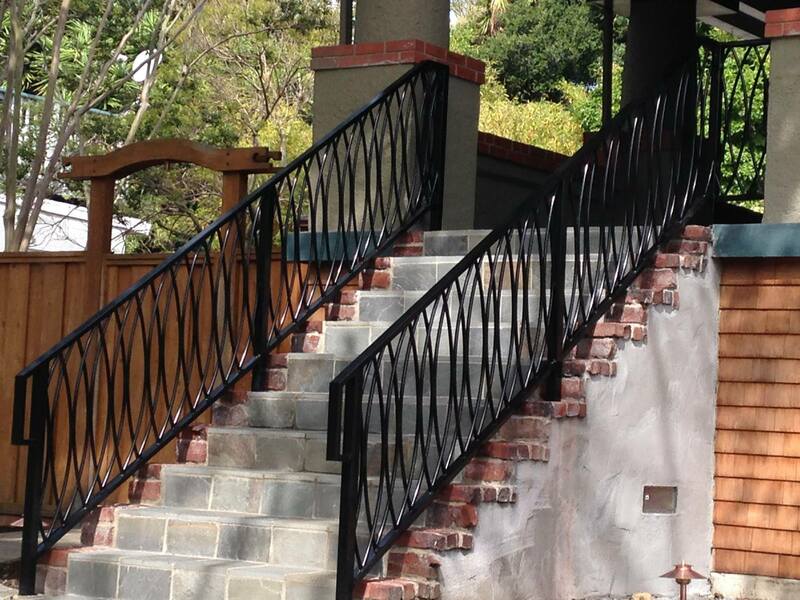 The intricate craftsmanship of our custom designed iron products in California will enhance the beauty and value of your property effortlessly. All of our iron products are designed and manufactured at our workshop located in San Leandro, California. A wide selection of styles together with the finest quality materials is available for you to choose from. Whether you are looking for contemporary design, elegant simplicity, or the old world styling characteristics of European iron works, there’s nothing Zermeño’s can’t build. Creating quality iron works is a challenge we have excelled at over the years and we meticulously construct every project to exceed your expectations. Achieving 100% customer satisfaction everytime, is our #1 goal. Contact us today to let us show you an old art in a new time! We are a California licensed contractor (CA #892356), bonded and insured. © 2018, Zermeno's Custom Ironworks. All Rights Reserved.